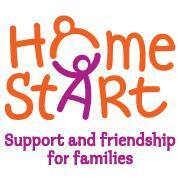 Home-Start supports families with young children who are facing stressful situations. For example isolution, post natal depression, illness. Volunteers offer support, friendship and practical help to families in their own home. We also run a weekly family group and courses. Volunteers offer support, friendship and practical help to families in their own home. Family Group provides a morning of activities for parents to enjoy with their child/children. We also offer courses and outings to families.